Give yourself the holiday that keeps on giving. Join us for a week of Health & Happiness at our home studio on the peaceful island of Koh Lanta. FULLY BOOKED- CHECK BACK WITH US FOR next seasons dates! Our Yoga Retreats are designed for those looking to enjoy a personal holiday while taking their personal practice to the next level. Everyday will include guided mediation and two yoga practices. We'll go through various styles of practice including Vinyasa Flow, Hatha, Ashtanga, and Yin Yoga to leave you with well balanced Yin and Yang practices and a good understanding of the various styles. During the week there will be two workshops to go further into specific aspects of the practice. Breakfast, lunch and dinner will be loaded with homemade, healthy, and whole food to provide your body the goodness it needs to sustain multiple daily practices. You do not need to be advanced to go deeper. As always, we strive to create a warm and welcoming space for people of all levels and all walks of life. We find it an honor and a pleasure to guide you into a deeper understanding of the journey of yoga and look forward to sharing time, space, and friendship with you. 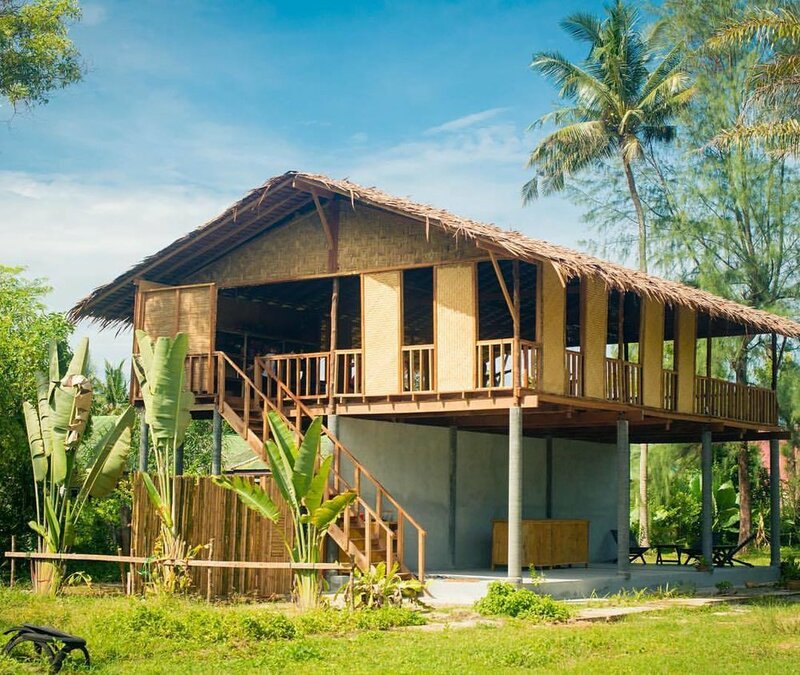 Our newly built Tree House Yoga Shala comfortable fits over 30 people for a yoga practice, however we will be keeping the retreats smaller and more personal. Yoga mats, pillows and bolsters are provided. Practicing outdoors is such a treat as shala keeps us covered in rain or shine and the fresh sea breeze after warming sun salutations is simply delightful. After starting your mornings with meditation and yoga, breakfast at the Oasis Kitchen will fuel your body with healthy whole foods! You'll enjoy a full buffet breakfast with all of our homemade goodness from chia seed granola with all natural yogurt, fresh baked whole wheat bread, veggie scrambles, hummus, a variety of tropical fruits, green juices and of course proper french press coffee or tea with your choice of milk including vegan options. One day during the retreat, our group will take a day trip to near by islands for snorkeling, checking out the Emerald Cave and having a homemade Thai lunch on a white sand beach. Swim, snorkel, hang out and get to know the other participants in this all inclusive Long-tail Adventure.